Taiji – a place with amazing sunrises, beautiful landscapes, townspeople that say good morning, and school children that wave hello. It’s also ground zero for the global trade of captive dolphins and a place where dolphin families are slaughtered for six months each year. It’s a paradox to spend time in such a peaceful and serene place while knowing about the dark events that take place in hidden coves. This was not my first trip to this small town, but it was the most emotional one for me. This time, my understanding of these animals was so much greater than in previous visits. During the past few years I have fully immersed myself in the world of dolphin and whale captivity, so the sights and sounds as I watched new slaves taken away to their prisons or listened as entire families were violently removed from this world struck me more deeply. 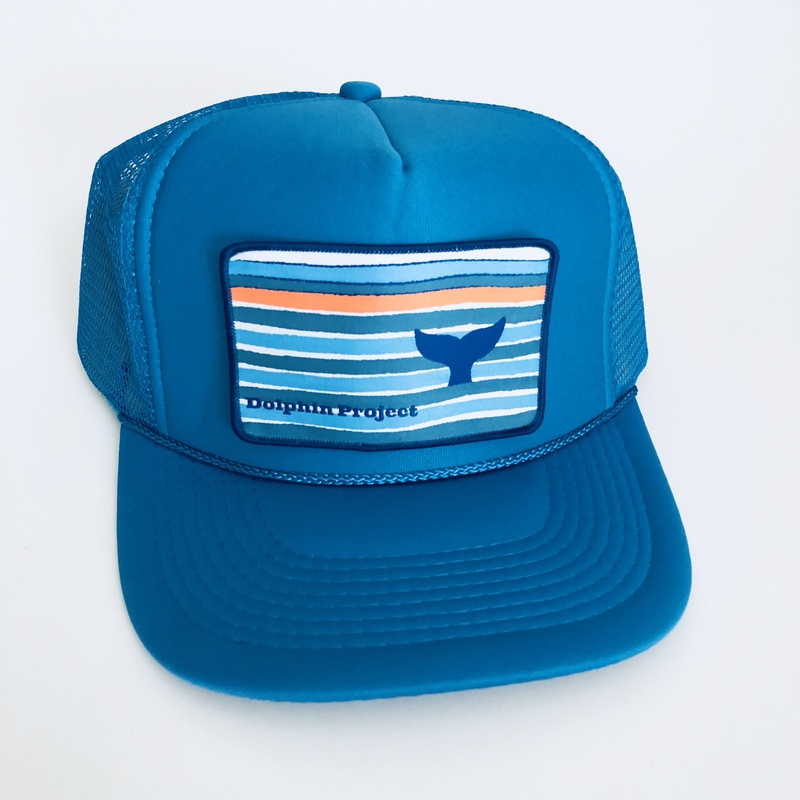 The dolphin hunters commend themselves because they say a dolphin dies in 10 seconds. Well, the thrashing of bodies that I heard under the tarps as a family of melon-headed whales was killed lasted much longer than 10 seconds. The striped dolphin I watched bolt out from underneath the tarps, then get trapped by a net and a skiff while blood poured out of its body (turning the water bright red in the process) did not die in 10 seconds. The dolphin that tried to flee – injured and scared – as its family was being killed but after a struggle, was dragged back under the tarps so the hunters could finish the job they started was not killed in 10 seconds. In fact, nothing that I saw or heard under those tarps lasted for only 10 seconds. My emotions hit me hard the day a family of melon-headed whales was torn apart. After being terrorized during the drive they swam very close to each other in the cove, rubbing up against one another as they searched for comfort. Two individuals were taken for a life of captivity that day: trainers picked their desired targets from the group and drove away on boats as the rest of the adults were slaughtered, and babies were dumped at sea. The trainers laugh and smile alongside the hunters as they all work together. I listened to the thrashing of this family as they were killed, simultaneously hearing the echoes of the dolphin show taking place around the corner at the Taiji Whale Museum. The complete and total lack of empathy from the trainers who claim to “love dolphins” is appalling. During the slaughter of a family of striped dolphins I watched as one member of this pod got caught in the nets, frantically trying to get away from the murderous scene taking place under the tarps. 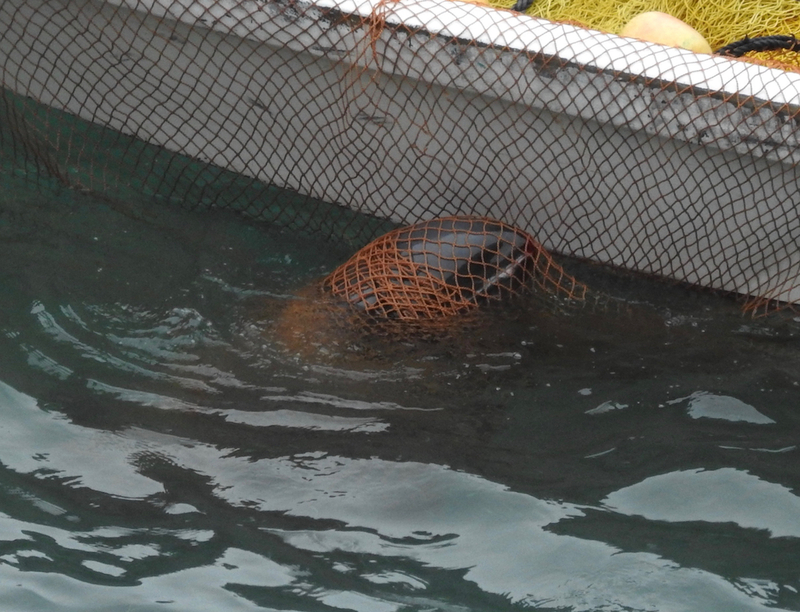 This dolphin desperately struggled in the net until it finally disappeared under the water, presumably drowning right before my eyes. These are the moments in Taiji that stay with me forever. The place I feel most drawn to are the sea pens at the prison known as Dolphin Base. These once wild and free dolphins will never again know the feeling of being full and satisfied. They will forever be kept just hungry enough to do the next trick. Watching as they are reduced to stereotypical behaviors and begging for food is absolutely heartbreaking. There are several in these sea pens that just sit and stare out at the ocean through the nets, looking at what was once their home. I can still hear the vocalizations of the 15 dolphins that were hoisted up by a crane and loaded onto trucks as they were shipped off to their new prison, location unknown. One thing I did know was that they’ll never see their home waters again. 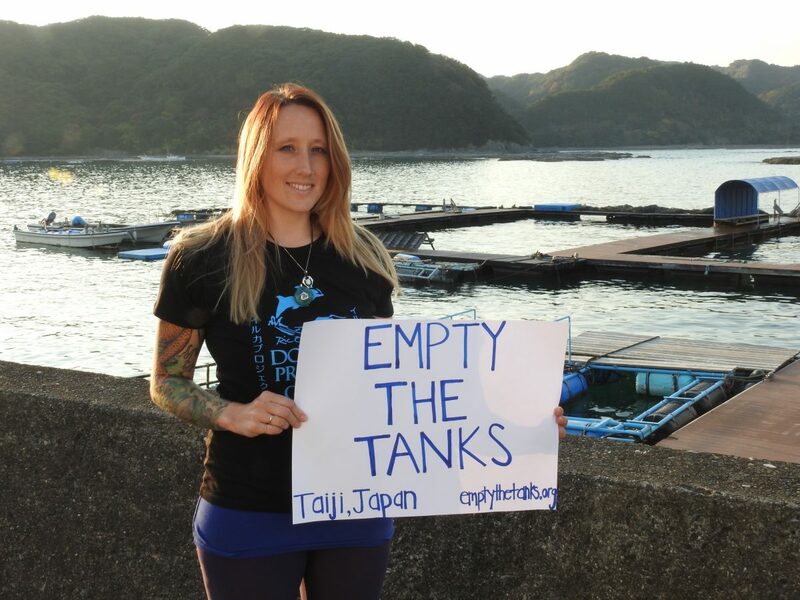 Some people question why we go to Taiji, when we can’t intervene. We go because if we didn’t the dolphins would still die and still be taken captive but nobody would be there to tell their stories. They would be silenced by the hunters and trainers and the world would never know that these dolphins lived, and that they died. We are their last voice in this world. I created Empty the Tanks so that I could continue to be a voice for dolphins and whales suffering in sea prisons around the world and I am grateful so many people have supported this mission. I feel more driven than ever to continue my work, as I believe education and awareness is the key to ending dolphin captivity and these annual hunts. And while I left another piece of my heart in that cove, and in those sea pens, I can only hope the dolphins know we are fighting as hard as we can for them. 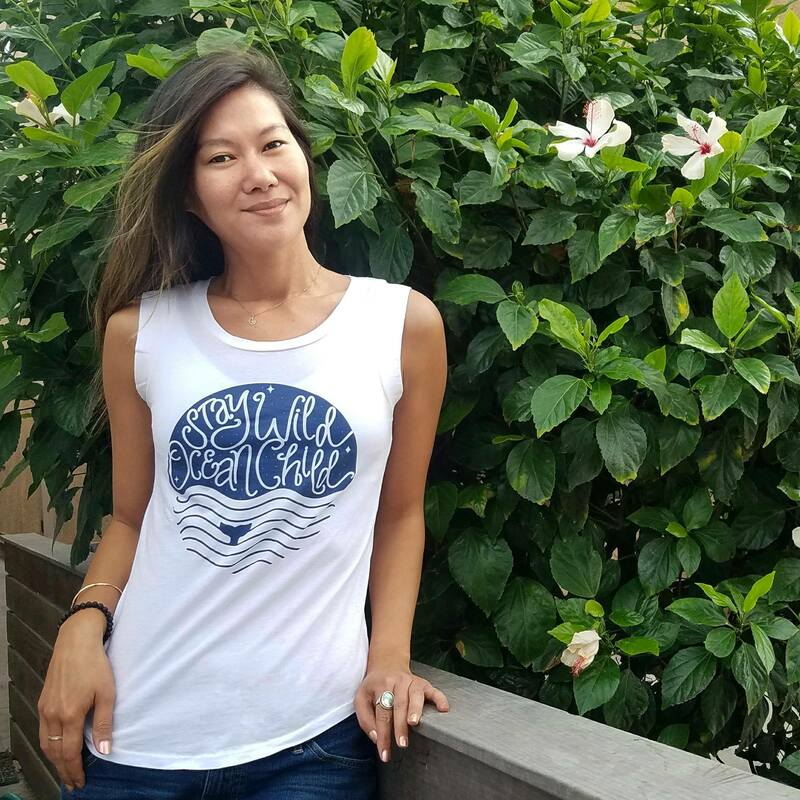 Rachel Carbary is the Founder of ‘Empty the Tanks Worldwide’ — a movement focused on education and awareness to end cetacean captivity and promote ocean conservation worldwide. 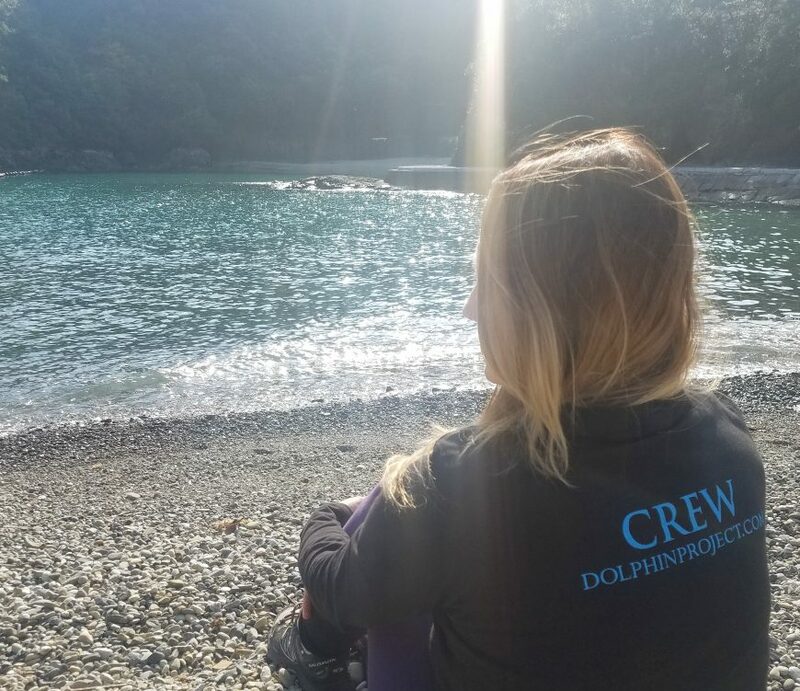 Recently, I joined Dolphin Project as a volunteer Cove Monitor on the shores of Taiji to bring awareness to the dolphin captivity movement and the dolphin slaughters taking place there.